Due to the fact that more than 80% of Americans live in urban areas, sometimes it's difficult for us to relate to the habits and lifestyles of those who live in agricultural areas of our nation and world. Nevertheless, one can extract key lessons from agricultural best practices that can be used as transformational business and life principles. In order to get the greatest yield from the land, farmers understand they must plan for several factors, including available resources and constraints, geography and climate of the farm, and their own philosophy and culture among other things (see Wikipedia for more info). Farmers also understand that different strategies are used at different times of the year to reap the best harvest based upon the types of crops they are producing. Likewise, entrepreneurs must plan and adjust their actions to harvest different business opportunities, because like crops they also come and go in cycles or seasons. Entrepreneurs must become keenly aware of the season/cycle in which their opportunities exist, so they can increase the size, frequency and quality of their harvest. Let's dig a little deeper as we consider different types of "opportunity seasons" and how you can plan for them in your business. Prepare the ground (Customer not ready to purchase): Externally, educate yourself on your target customers, market conditions, future opportunities and potential threats to your business. Internally, assess your company for ways to improve your current designs, performance, processes, customer service, etc (a SWOT Analysis tool is great for this). This season may also involve focusing on your own personal development. Plant the seeds (Customer interested in learning more): Focus on marketing, brand building, and networking. Reach out and connect with target customers. Demonstrate your expertise and value in the marketplace through several platforms (i.e. free seminars, social networks, blogging, articles, podcasting, email newsletters, interviews, free samples). Nurture the growth (Customer considering a purchase): Build relationships with priority customers. Focus on educating and equipping them with valuable knowledge and specific information that will benefit them. Assess customer relationships to determine whether they are hot, warm, or cold - this will dictate how quickly you move to the next stage. Reap the harvest (Customer ready to purchase): Be confident and close the deal. It's critical to know when your customer is ready to purchase. If you try to close too early or too late you could lose them. 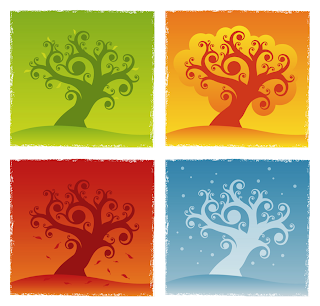 You must recognize that different opportunities avail themselves in different seasons of a business cycle. Therefore, you can't use the same approach for each opportunity. You need to know what stage it's in - preparing, planting, nurturing, or reaping - so that you can determine how to strategically seize it. Although the country may be in a recession your business doesn't have to be. You can still grow in this environment. You just have to be more strategic, discerning, and value-driven than ever before. Also, it wouldn't hurt to think like a farmer. "It's interesting that when you listen to jazz, sometimes a chord here or there may sound out of place. Often in business, you have to go outside of the norm and change the definition of what others may consider normal. What's off key for somebody else may be just right for you. Companies that are successful are able to expand outside the box by differentiating themselves from their competition through price, quality, uniqueness, service, or some other distinguishing factor." If you would like to bring this experience to your school, church, or community organization, please contact me today at youth@biznovations.net. You can learn more about "Dream BIG Experience" at http://www.paulwilsonjr.com/Thrive/Youth.html. As challenging as the current economic environment is, many people believe (including myself) that America's entrepreneurial spirit will be a critical ingredient to pull us out of this financial tar pit. We need to generate as much creativity, ingenuity, and innovation as humanly possible. I believe that we are entering a new age that will require everyone to have at least a minimal level of entrepreneurial skills, even employees of large companies. Since that's the case, what better time than now to equip our youth with the necessary skills to not only survive, but thrive in this and future economic swoons. Using my extensive experience as an entrepreneur, youth leader, and business coach, I created a workshop series that combines entrepreneurship, leadership, and career mapping: "Dream BIG Experience: The Impossible IS Possible!". This series is targeted to teenagers and college age students, who will benefit today and tomorrow from learning these essential business survival skills. If you would like to bring this workshop to your school, church, or community organization, please contact me today at youth@biznovations.net.